We are an easy partner to do business with regardless you are big or small buyer. We can give you a discount based on the trading quantity and the market. They always exhibit the mentality that the customer is important and comes first. 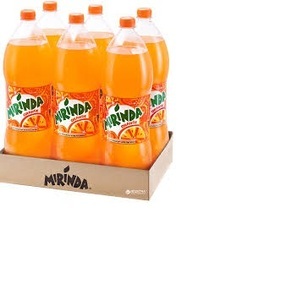 Soft Drink - Product type: Carbonated drinks - Packaging : Can ( tinned ) - Shelf Life : 12 months - Packaging details : carbonated drink 330ml x 24 can x carton tray. Ken Hong Seng Pte Ltd formerly know as Ken Hong Seng Tat Kee Trading established since 1988. 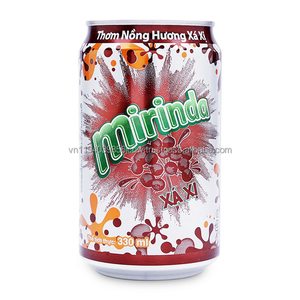 We are manufacturer and trading of wide range of food grocery and ingredient. 5) Sarawak Pepper seed & Powder 6) Cooking Oil- Palm, Soya, Sunflower, Corn 7) Blended sesame oil 8) Starch- Corn, Potato, Tapioca, Sweet Potato, Wheat 9) Flour- Low, Medium & High Protein. Factory Price and Reliable Quality: by controling the whole process from design to delivery, our customer are assured the lowest comparable price with consistently reliable quality. Beyond our standard range, we also offer bespoke products with a variety of different finishes and materials to achieve the right look and the right price!. 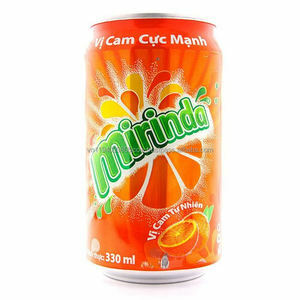 Be in touch with us by information below: G&G Concept Co.
Mirinda Soft Drinks has been the major product in the Carbonated Drinks market over the past year, and it was very popular in United States,Wales,India,Spain and Australia; As shown in the distribution chart, market shares of these countries are folowing: [ US:23.48%, GB:15.48%, IN:7.83%, ES:4.52%, AU:3.30%, other:45.39%]. 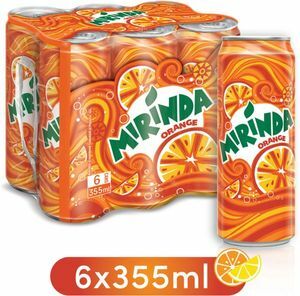 What's the trends of Mirinda Soft Drinks product's market in 2018 (Dec 2016 to Jan 2019)?we have studied one years data on online sales, global shipping, search, sourcing and requirements of following products Confectionery. Soybean Oil,Here is the report.During the research period (Dec 2016 to Jan 2019), the major trends are as following.